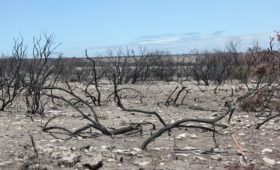 “Comparisons to damage done to the environment by the 2017 fires which ripped through Knysna and Plettenberg Bay, with the most recent fires that impacted upon the almost 90 000 hectares of the Outeniqua Mountain are difficult to make,” says Cobus Meiring of the Southern Cape Landowners Initiative (SCLI). Most important, perhaps, are the landscapes that were affected. In the case of the Knysna fires, the fire raced through the coast and coastal plateau, agricultural land, as well as urban and semi-urban landscapes. 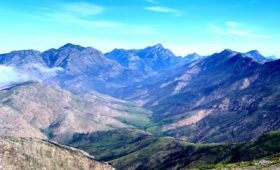 The Outeniqua fires, by and large, remained on the southern and northern sides of the Outeniqua Mountains, extending down to the foothills and lower lands in places. In both instances, vast plantations were destroyed, along with the destruction of infrastructure, fencing and grazing land. Environmentalists concern themselves with immediate and future damage to the natural ecology and habitat destruction brought about by the fires, as well as the ability of nature to fully recover, or the lack thereof. 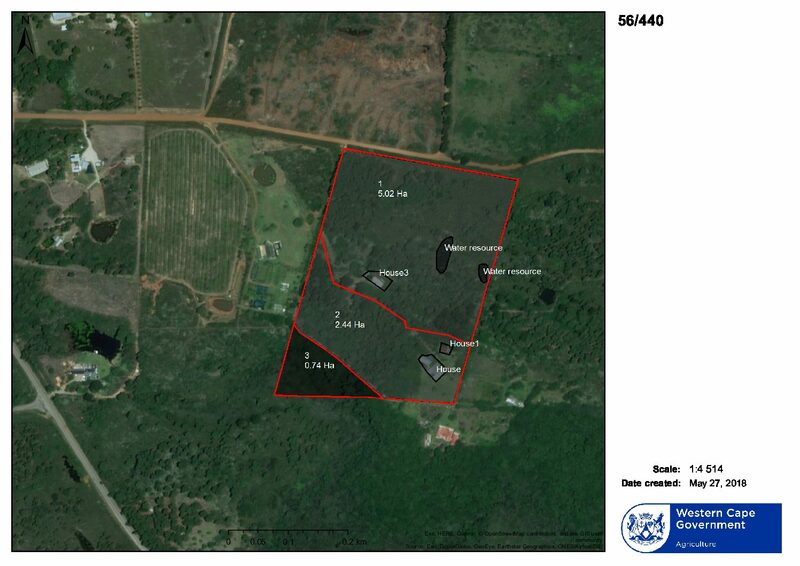 The establishment of invasive alien plants on the landscape, where fire destroyed all vegetation, is always a major reality in the Garden Route, which seems to resemble a hothouse for invasive alien plants and will require massive resources to control. The degradation of soils, damage to indigenous vegetation and landscapes, when repeatedly exposed to fire, might be dire, and lead to species loss, erosion, and permanent damage to river systems. 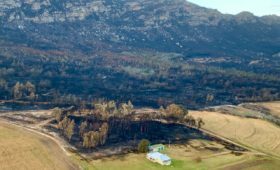 Funding invested through the Department of Environmental Affairs, as well as private landowners and regional and local governments after the 2017 fires ran into millions of Rands, and much of the same could be expected to be required in dealing with the aftermath of the Outeniqua fires. Environmental damage related to the Outeniqua fires, as well as the rehabilitation thereof, may take a long time to fully assess and before anybody will be able to put a figure to it, if ever. The biggest environmental risk remains critical water catchments from being overrun by invasive alien plants. 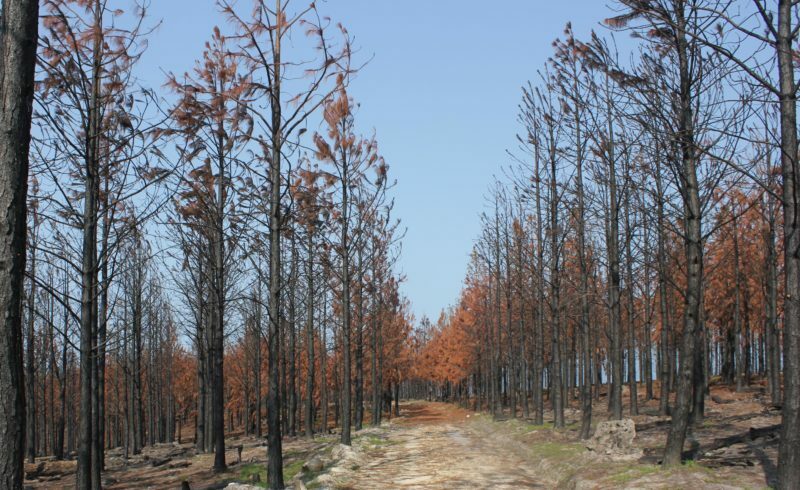 Already the mountain range has been badly affected by runaway pine plantations and fire-adapted Hakea. However, in many respects it must be said that the latest fire might have been the saving grace of large sections of the once pristine mountains, where indigenous vegetation may well again stand a chance of taking up its rightful place, and much needed water and moisture, otherwise absorbed by invasive trees, be released into rivers and downstream wetlands.